Directed by Alfred Hitchcock. 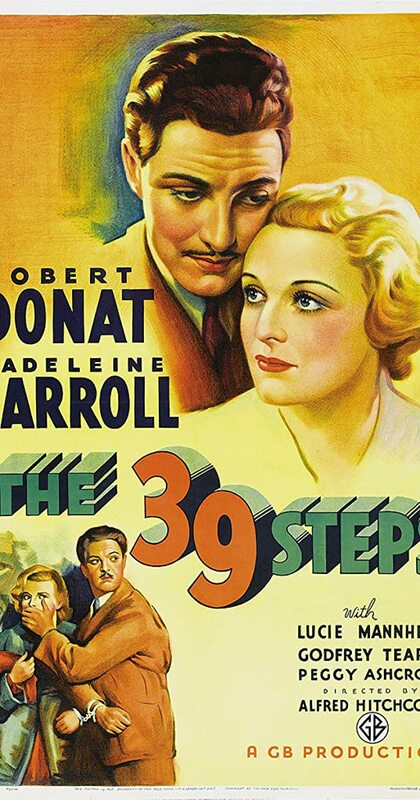 With Robert Donat, Madeleine Carroll, Lucie Mannheim, Godfrey Tearle. A man in London tries to help a counter-espionage Agent. But when the Agent is killed, and the man stands accused, he must go on the run to save himself and stop a spy ring which is trying to steal top secret information.